Each week, I follow the Breastfeeding Blog Hop hosted by The Slacker Mom. I love the idea of this, where each week moms talk about a different topic related to their experiences breastfeeding. This is my first week participating, but I really loved the topic this week: breastfeeding advocacy. Below, I’ve shared my opinions on the subject, as well as the linky for others participating in this blog hop. I hope you enjoy it as much as I do! When I first made the decision to breastfeed, I didn’t know a lot about what went into it. After all, my mother hadn’t breastfed. Neither had her mother. Growing up, I didn’t know anyone who’d breastfed. I only had one friend who was breastfeeding at the latter stages of my pregnancy, and she was just learning the ropes herself. I’d never seen breastfeeding up close and personal. I had no idea how it worked, other than that babies got food straight from mom and that “breast is best.” Simple enough, right? There are a ton of reasons why women give up breastfeeding, and I’m guessing that when it boils down to it, the overwhelming majority come down to support. 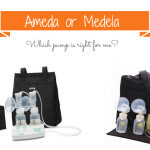 Even with classes and websites, I feel like moms still tend to go into breastfeeding not really knowing what to expect. As a result, they struggle: with the mechanics, to keep up their supply, with worry over whether baby is getting enough to eat, with the time commitment. And as often as not, they don’t get the support they need to continue breastfeeding. For one, they often don’t have anyone–mothers, friends, doctors, nurses, lactation consultants–who can help them through the physical challenges. They get bad advice from well-meaning, but ultimately incorrect people–and this includes medical professionals!–about breastfeeding, supplementing, hunger cues, how often a baby should eat, etc. They don’t have family, friends, and partners who can or are willing to help them with the time commitment, who will help keep up with house work or run errands for them or just get them a glass of water. There’s also the fact that our society is so hostile to breastfeeding. Breastfeeding moms often feel trapped in their homes because nursing in public is considered such a taboo. The stress of having to find a private place to nurse, wearing clothes that can help you nurse discretely, or having to use a cover or blanket that baby may not appreciate makes leaving the house in your hour-and-a-half windows between nursing sessions a daunting task fraught with worry over what other people might think or say. Because god forbid other people might have to witness you nursing! On top of that, in the US many women have to return to work before breastfeeding is established or work in an environment that is hostile to pumping (and a good, double electric pump is expensive.) 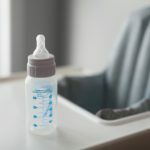 Even if formula is more expensive than free breastmilk at face value, time also has a monetary value, and sometimes formula is cheaper in the total equation. In short, breastfeeding is hard, and I feel that most women lack the information, social support, and financial backing to make it work. I think most women do want to breastfeed their babies, but just can’t surmount the obstacles to make it happen. I’m a breastfeeding advocate, because I believe that women should be able to make the choice that they feel is best for them and their babies and that we as a society need to do more to make the choice to breastfeed one less fraught with stress and worry. I support better education not only for breastfeeding mothers, but also for the medical professionals charged with helping them and their children. 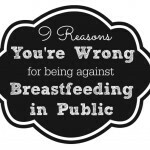 I support allowing breastfeeding mothers to feed their children in public, without having to worry about covering up, because it’s simply not feasible to expect women to remain imprisoned in their homes (or worse, in public restrooms) for the 6 months or longer that it is recommended for women to breastfeed. I support labor policies and social programs that help all women and their children breastfeed for at least 6 months, if not longer. I support organizations that try to reach out to women to help them continue breastfeeding their children for as long as they wish, supplying the void in our communities that family and friends could once supply. In my opinion, advocacy isn’t telling women that breastfeeding is the best thing they can possibly do for their babies, then completely cutting off the support mechanisms necessary for a woman to breastfeed successfully. Advocacy also isn’t insisting that every woman breastfeed, that women who give up breastfeeding be required to justify their choices or to prove they tried hard enough to keep it going, that formula be equated with poison, etc. I feel as with anything, the choice should be freely made, without coercing or shaming people into it. If breast really is best, and we want what’s best for babies everywhere, then let’s put that opinion to work, instead of holding mothers to a standard without giving them reasonable means to meet it. Advocacy, to me, is striving for greater education, freedom, and support for breastfeeding families.